The blockchain technology behind the cryptocurrency world has been a global big thing over the past few years. Unfortunately, most Malaysians do not have much knowledge about how exactly blockchain works. 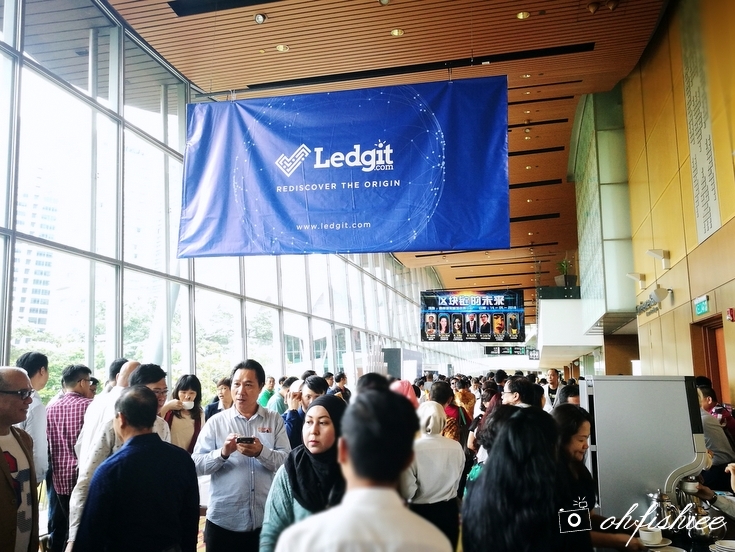 I am glad to be one of the 1,000 participants to join "The Future of Blockchain Industry Forum" organised by a Malaysian-owned company, Ledgit that has made its mark in the digital ledger in economic transactions. The forum is very helpful in educating the public on the benefits of blockchain and cryptocurrency technology, especially for those who are looking into the revolutionary ways of investment in this global trend. A diversified panel of VIP guests who are the notable international speakers of the forum. We are really lucky this round because we have the top industry leaders from Asia and Middle East here with us to address some key areas such as the future of blockchain, evolvement of the technology as well as the cryptocurrency market. On top of that, the forum also educates us on how to fully utilise the technology for various purposes. For instance, we can leverage on how the new technology benefits the global financial market by adapting new ways to invest, facilitate peer-to-peer electronic cash transactions and for the betterment of financial ecosystem. All in all, the event is very engaging for the public and it helps dispel the myths of the industry as a whole. Opening speech by Mr Ivan Ku, CEO of Ledgit to officiate the forum. Blockchain technology is often linked with investment and financial understandings. But Ledgit is stepping up the game by bringing to us something new that we may not have thought before. 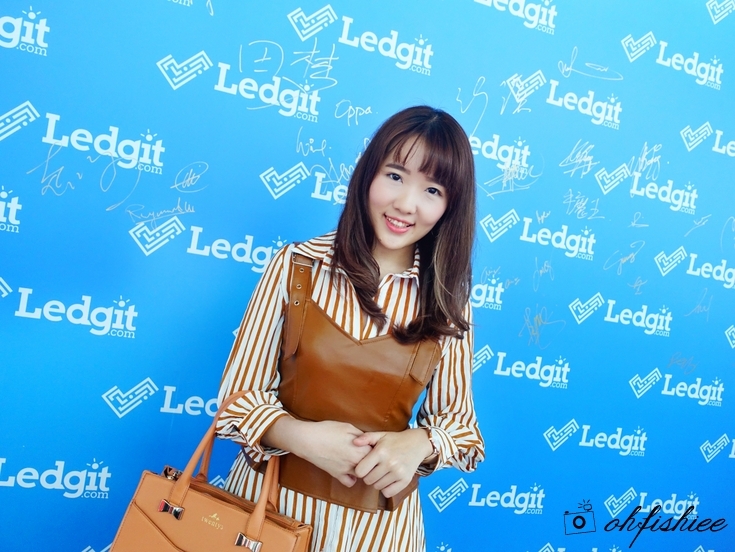 According to Mr Ivan Ku, LEDGIT is a word combination of "Ledger" and "Legit", which means a ledger consisting of various information while maintaining the legitimacy. LEDGIT integrates the blockchain technology of "Smart Contracts" with the "Smart Application Platform" (SAP) to provide a Blockchain-as-a-Service (BaaS) platform of high transparency, precise provenance, legitimacy and efficiency. It allows manufacturers, suppliers, wholesalers, retailers, distributors and consumers to ulitise this platform that has a tremendous growth potential in various industries. Mr Mark Pui, the first speaker of the forum. Mr Mark Pui, a 43-year-old blockchain investment guru is now enjoying his retired life because of his first investment in cryptocurrency since 5 years ago. 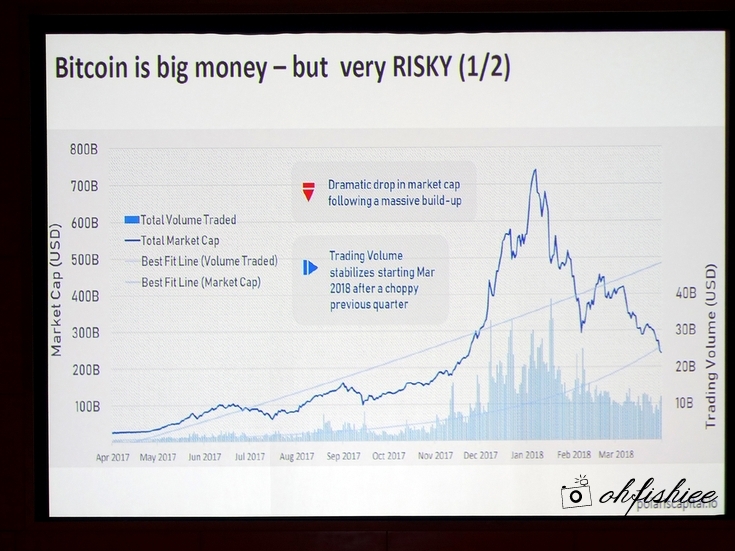 He explains that Bitcoin itself is very risky as the value of Bitmain drops drastically by 50% during the first 3 months of 2018, and increases by 25% in just April itself. Very volatile and risky? Yes, but Mark Pui is here with us to share some ways to mitigate the risks and reap profits from the fluctuation. 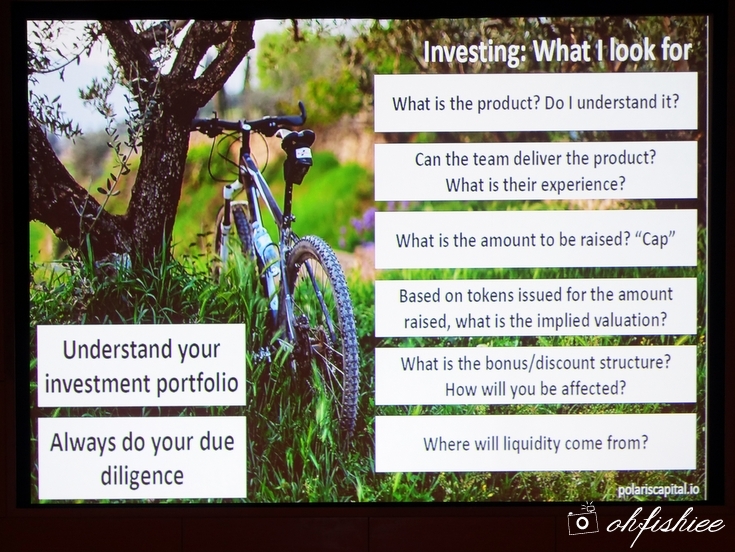 Investing is like cycling. The more you practise, the better you become. Just a quick tip from our blockchain guru -- it is important to always do due diligence regardless of what you invest. 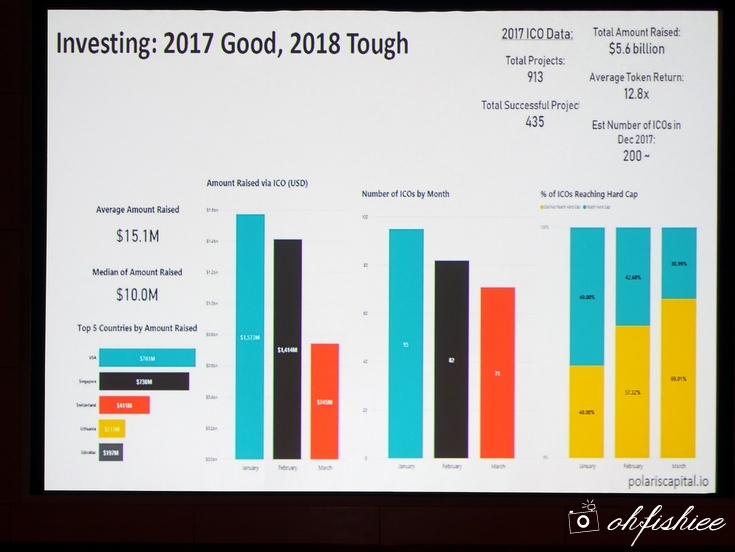 Some data analysis of fund raised via ICO. Presentations by the experienced speakers come one after another. Mr Fengsen, the founder of Blockhong and Deputy Secretary General of World Blockchain Institute from China, as well as Mr Lurion Yee, the founder of SEDA Malaysia are also on stage to share their knowledge and experiences so that the public can understand the industry from different perspectives and acknowledge such fast-moving digital trends. Lastly, the team of Blockchain Games Company Malaysia -- Mr Yao Han Lim, the CEO along with Ms Jia Nina, the Marketing Director in Malaysia and Ms Saba Harati, the researcher from Iran -- also presents to us a better insight of blockchain future in this forum. Many thanks to the distinguished speakers and industry experts for the sharing session of the day! I personally have pocketed plenty of knowledge home, which I believe is very useful in this era. Hi, This is a great post that i ever read and thanks for the posting. I hope that we can keep in touch from this way and there will be a lot of post for your to post and so on.